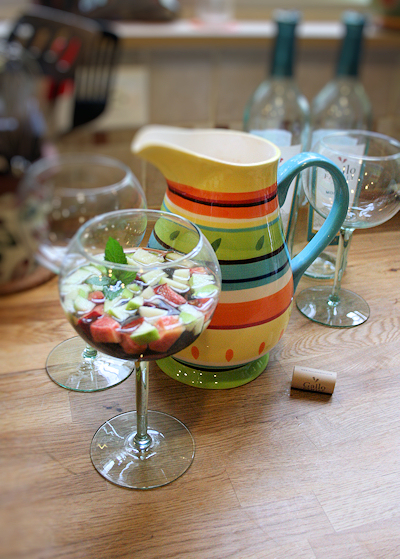 I love Sangria. Let me rephrase, I love most Sangrias. We went to Hilton Head one year and I had the most perfect Sangria at a restaurant called Truffles. It was crisp, yet a little sweet and had the most amazing berries in it. Not a slice of orange and lime but loaded with blueberries, cherries and raspberries. 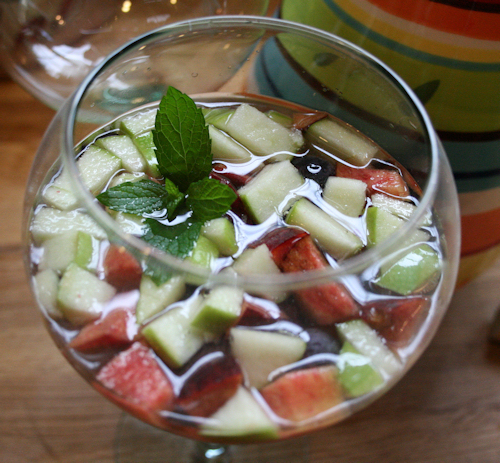 Well, I was craving this drink on this hot summer day and set my mind to making it. Delightfully, it was all I had hoped it would be. 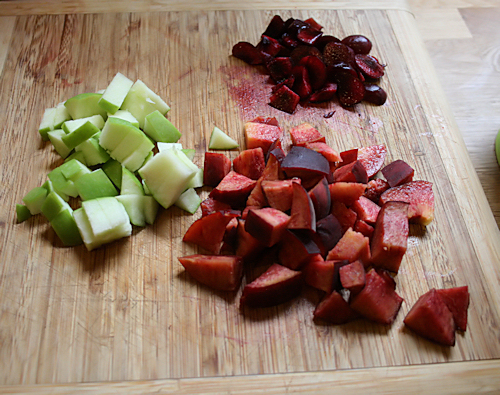 First, get all of your fruit washed and ready to cut. 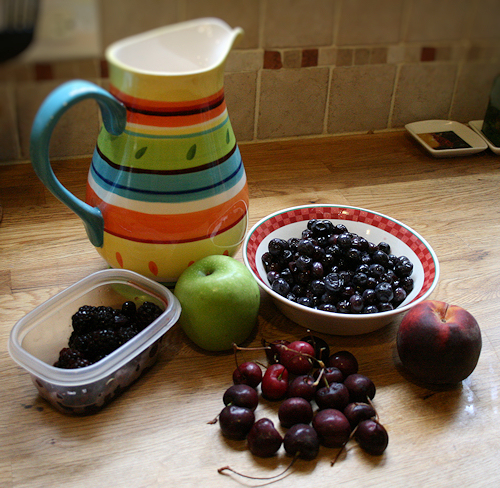 Obviously your berries need no preparation except for rinsing and tossing into the pitcher. 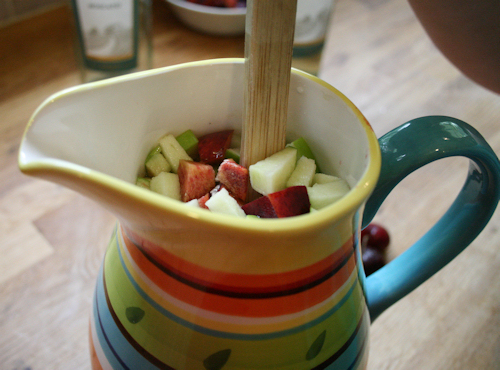 But your apple, peach and cherries all need chopping. 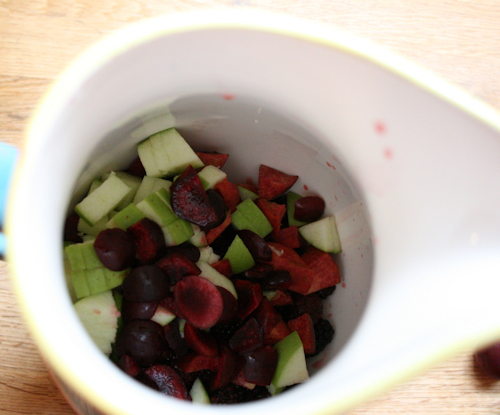 Toss into your pitcher with the berries. Clear pitchers are always nice too so you can see all the lovely colors mingling together. 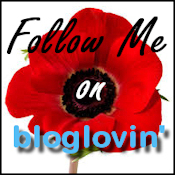 I realized when making this I do not have one. 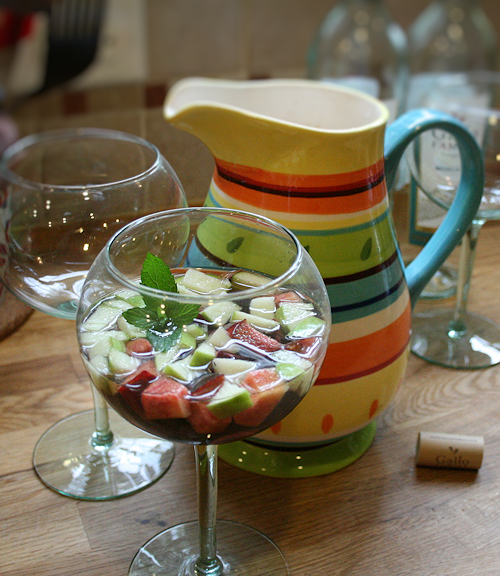 Note to self: get clear Sangria pitcher. 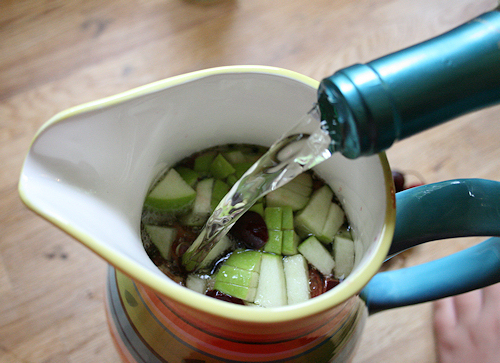 Add wine to the pitcher. My pitcher held almost the entire two bottles! The only bit left was the glass I poured myself. 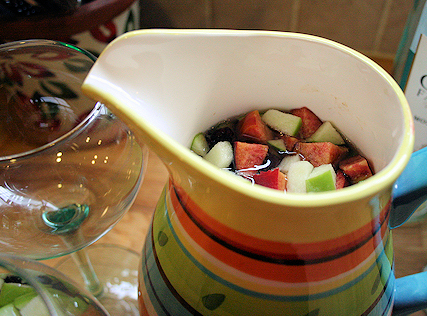 At this point, I usually set it in the fridge for at least an hour to chill and let the flavors of the fruit incorporate into the wine and vice versa. See how much darker the rim is with pretty color? 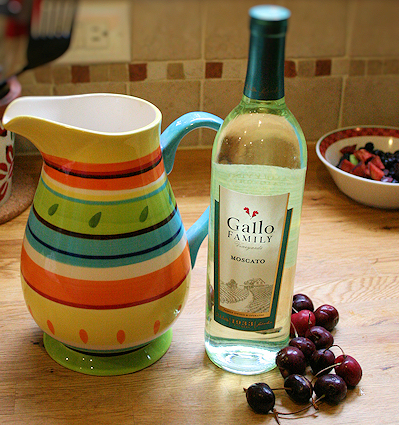 Pour into your favorite wine glass. Garnish with a sprig of mint. 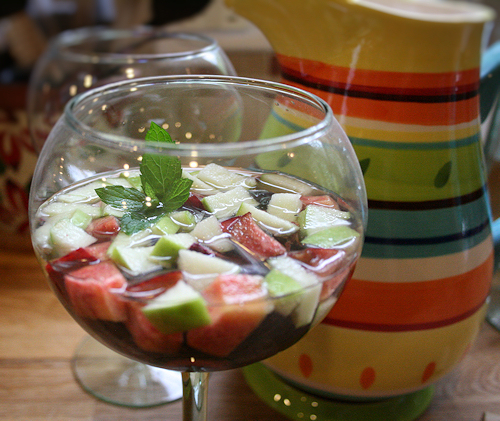 And enjoy the hot day with this refreshing Sangria… Beba al sol. Does the fruit ‘pour’ out too? Or do you have to ladle it out? Pours 🙂 and leaving some in the bottom of your glass is the best part!